Despite the obvious negative health issues associated with drinking, it is an activity that has been carried out by humans in almost all societies throughout history. All around the world, people put on their best clothes at the weekend and go out to meet with their friends and have a good time, all while consuming few beverages. Unfortunately, some people occasionally go a little bit too far with their enjoyment of alcohol and can end up in rather embarrassing situations. It’s clear from these photographs and that these people had a little too much to drink on their night out. This young woman crashed out in what she thought was a safe place but whoever else was at the party made sure that she was punished for drinking too much alcohol. 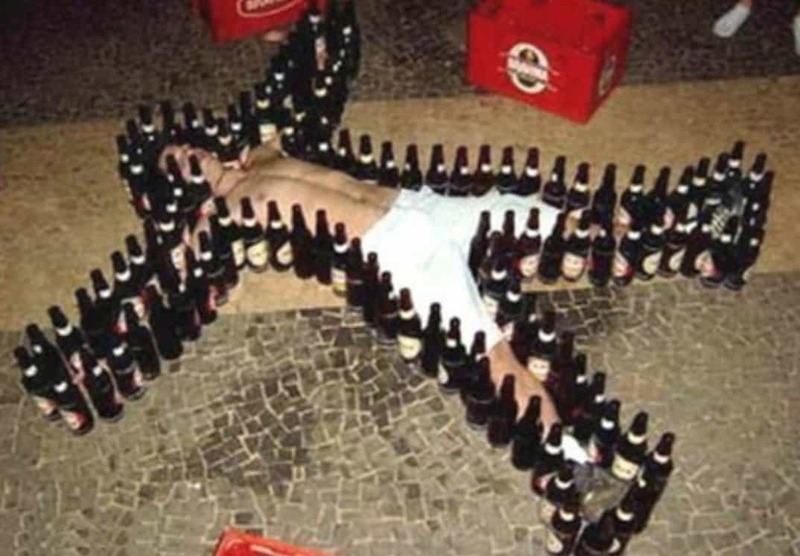 It seems odd that this guy got so drunk that he somehow allowed other people to do this to him but that his friends were clearly sober enough to actually do it. 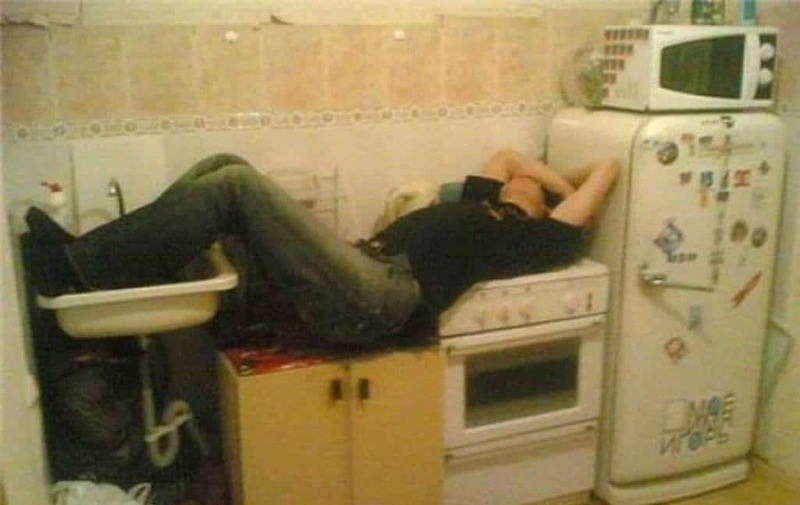 When you somehow manage to fall asleep in the sink, kitchen top and stove all at once. 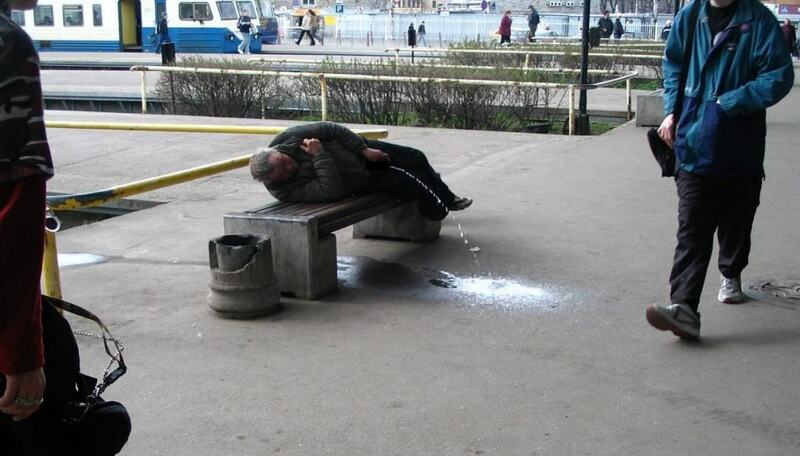 He is definitely going to have a sore back in the morning. 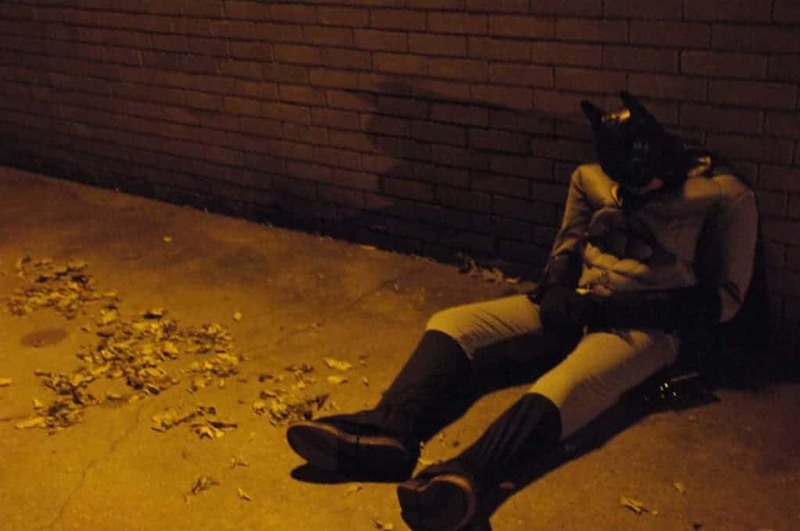 It seems the tragedy of his parents being killed in front of him as a child and the years of psychological abuse battling the likes of the Joker have become too much for him to take anymore. This drunk is running all kind of risks here. 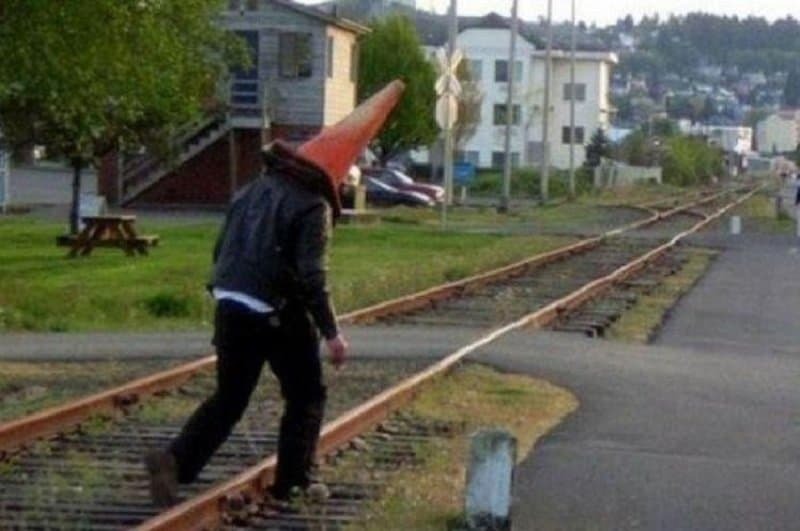 Not only is he walking along a train track that could well have a large locomotive coming along it at any moment but he has also somewhat hampered his vision by wearing a traffic cone on his head. 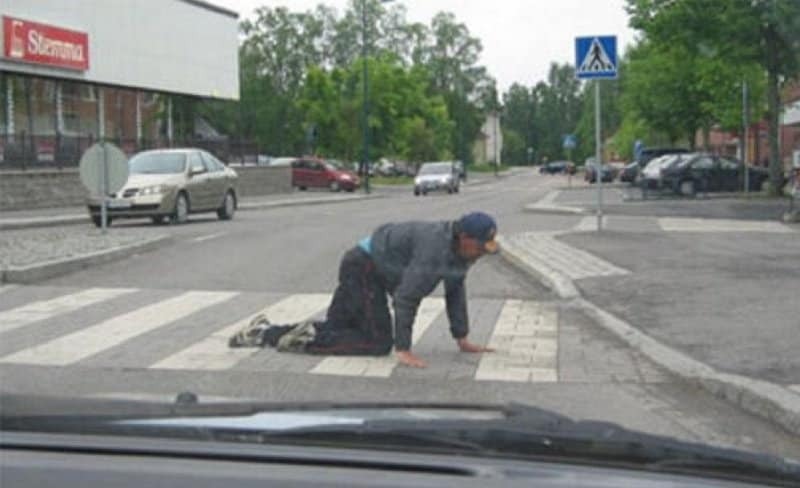 At least he still had the sense to cross the road safely at the designated area. This fellow has clearly given up of even trying to move up and try to find a toilet, best to just do it while lying down in the middle of a train station. 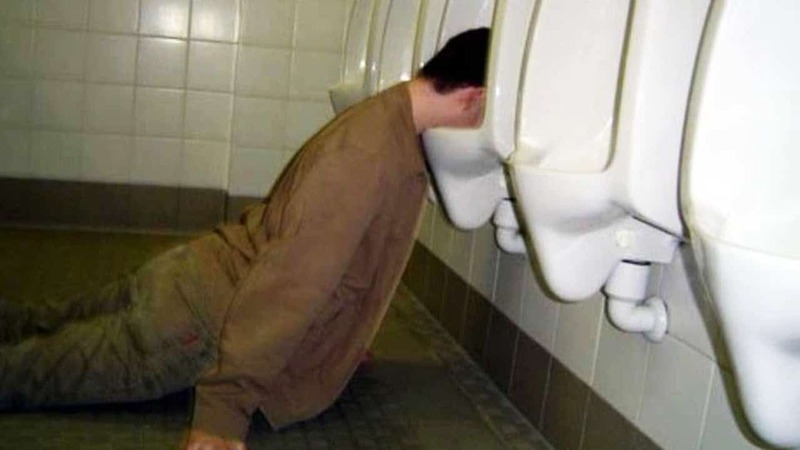 Unless this man has had some rather drastic surgery to rearrange his bodily organs, he has forgotten how urinals work. 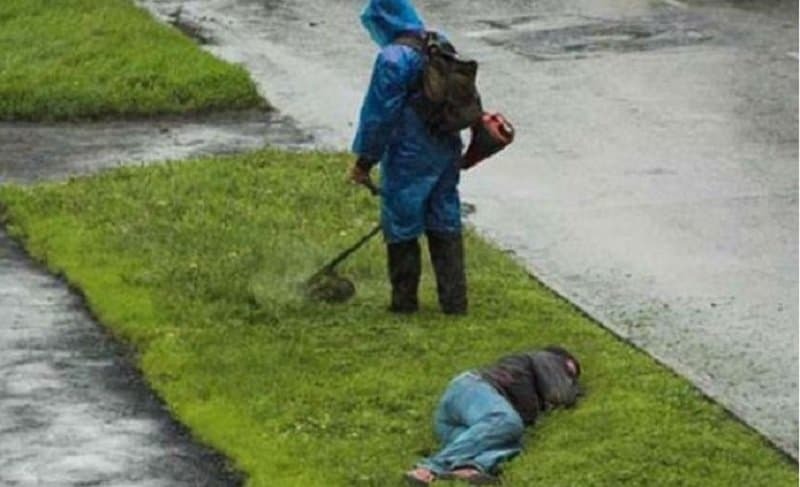 It isn’t clear where this person has fallen asleep but the worker seems to have abandoned any effort to help him and has just decided to work around him. It is blatantly obvious to almost everyone that this girl needs some help, yet her friends aren’t exactly doing a very good job.